On Thursday, crypto investors awoke to an unexpected sight, with digital assets across the board posting substantial gains for the first time in weeks. While there were many short-term speculators who were satisfied with this move, there were some optimistic commentators, analysts, and influencers within this space that saw this uptick as the start of something big. Mike Novogratz, a former Wall Street guru turned crypto fund manager, recently revived his dusty Twitter page to issue a message regarding his thoughts on the prospects of the cryptocurrency market. 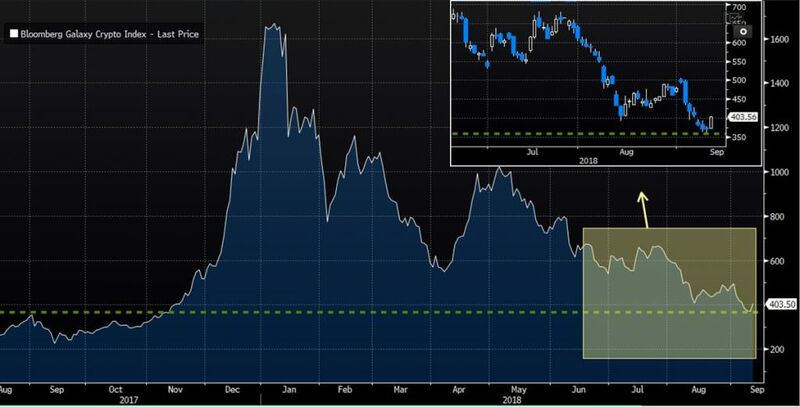 Accompanying the message was an image (seen below) that highlighted Bloomberg’s “Galaxy Crypto Index,” or BGCI for short, and its performance over the past year.